The Shift – Tammi B. Ph.D.
Do you feel there is change in the air? A significant shift happening? On my radio program “Journey to Center” on Empoweradio.com I have interviewed astrologers, healers, teacher and experts and they all confirm this is true. The big question is do you feel it? And how is it affecting you? For me it is showing up in some unexpected ways. I had a studio/gallery and private counseling practice in Idaho, my neighbors were not loving me and there seemed to be other “hints” from the universe that maybe it was time to consider letting it go. My husband suggested I put it on the market just to “see what would happen.” I thought perhaps we would sell it in the spring. Maybe you have heard, for the most part real estate is not moving, things are slow and somewhat depressed. Imagine my surprise when we got an offer two days after we put it on the market – and then a bidding war. We were in escrow within a week. Now my studio/gallery is gone. What? What just happened and what do I do now? I am now getting to explore and consider what I really, really want. Where do I want to put my energy, focus and intentions? I have recently said, “I am not where I have been, and I am not where I am going, I am kind of in the uncomfortable in between state,” and my strong intention is to make friends with what is and affirm frequently that I am shifting and expanding in grace, ease, acceptance and joy. What comes to mind is a vision of the caterpillar becoming the butterfly, that in between stage the where the creature is literally liquid inside of his chrysalis, no longer a caterpillar, but not yet the butterfly, and if you were to crack open the chrysalis during this in between state, it actually looks like water. It is an amazing and mysterious process of shift and transformation. Are you like me and feeling a little like liquid? If so, just know you can give yourself permission to relax, be patient and set the intention for clarity. The liquid state is not the time to press, push or attempt to fly. 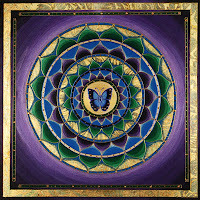 I am patiently and faithfully allowing this process of transformation and for my wings to form. Then when it is time, I will emerge from my chrysalis, rested, refreshed and allowing the gust of wind to gently lift me up and carry me to my next adventure! I hope you will join me! Please be in touch and let me know your thoughts how you are feeling and what you are doing. Blessings of peace, grace, ease and love. I don't know why, but I stumbled on our mails we have shared before, followed my intuition and ended up on your site and blog here. While reading your post from October there was this feeling of recognition. Sounds familiar kind a thing…and foremost the similarities that struck me. And the shift… ooh yeah ! Although I don't know what to expect, you cannot ignore it. My body seems to go some sort of transition, and sometimes I feel like I am in a pressure cooker. Relaxing and meditating helps a lot, and I never connected more with nature then ever before. My business is more dead then alive, and I thrived immensely before. Although it is in the arts ( photography ) it just doesn't seem to work. Like you I'm thinking about selling my house cause it's giving me head aches in terms of mortgage. The pressure is getting to high, so maybe it's the universe telling me to let go also. Exploring what to do next. While connecting with nature and having my camera with me, I started to notice how exited I get while shooting landscapes. Recently I came across many incredible landscape photographers that really got me very exited when I saw their work. Something in me was screaming 'I want to do that too !'. And then the mind steps in, 'how are you gonna make a living doing that?'. 'Who will be interested in your work?'. 'Your not good enough'! etc, etc.. Still not knowing what I really really want ( except from being totally free ) . Exploration is is what you could call it. The 'uncomfortable in between state'. 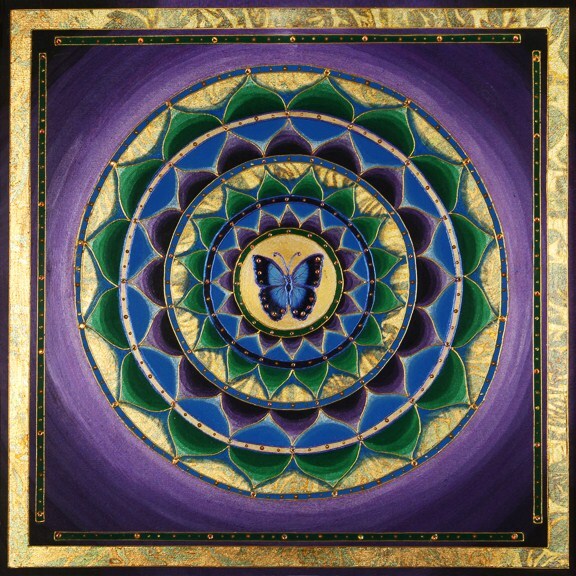 I am the chrysalis… being in the transformation can be uncomfortable, but being aware that you are aware of it, makes it bearable. I love what you have written! Trust your heart and follow your joy. Yes, it takes courage, patience and faith, but it sounds like you have everything you need to ascend to greater heights and manifest a more fulfilling life. Please be in touch with me at tammibphd@gmail.com if you would like to continue the dialouge. Keep on keeping on…I feel you are on the right track and heading the right direction! Tammi Baliszewski on The Magic of Maketai! Tamu Ngina on The Magic of Maketai!